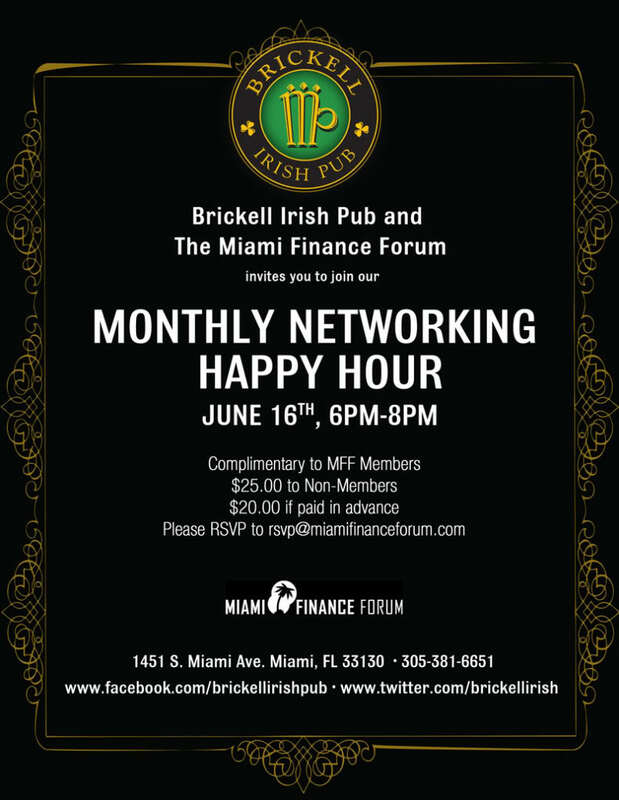 The Miami Finance Forum invites you to join us for our Networking Happy Hour held at Brickell Irish Pub on Wednesday June 16th 6pm to 8pm. Enjoy a complimentary drink and appetizers, network with the leading professionals in the finance industry. Admission is complementary for Miami Finance Forum Members, $25 for guests, 20 if paid online! You can always view the pictures of the event by going to www.miamifinanceforum.com or by visiting our Facebook page.